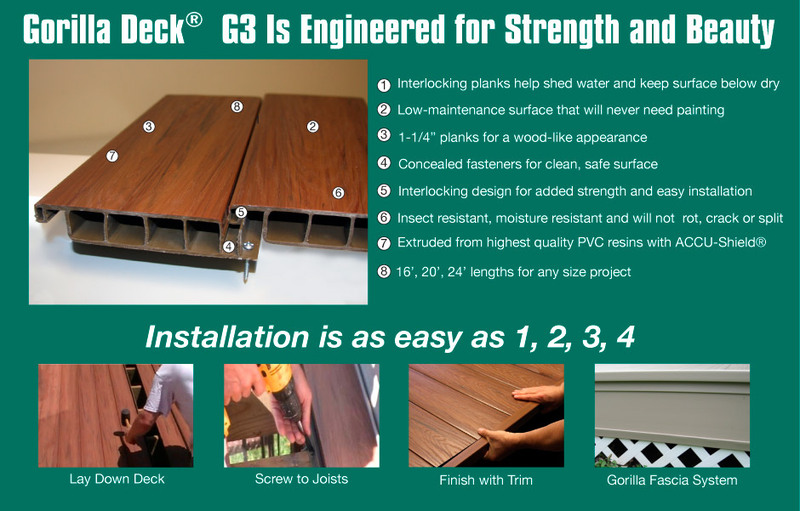 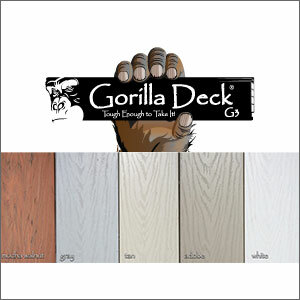 Gorilla Deck Decking – Precision Vinyl Systems, Inc.
We sell Gorilla PVC Decking which has interlocking planks to shed water. 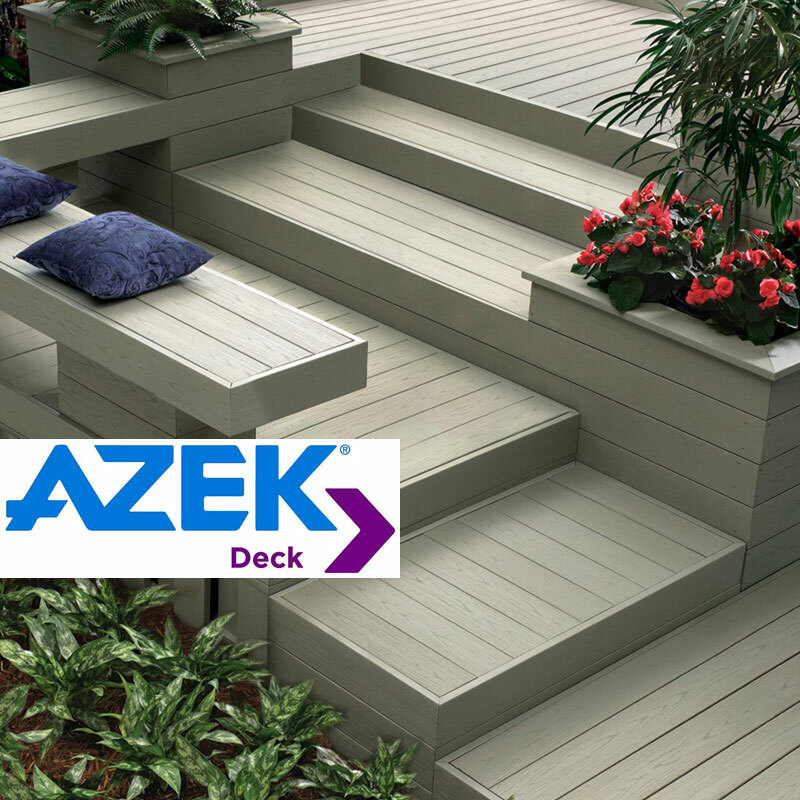 Timbertech Decking, Azek Decking, Moisture Shield Decking. 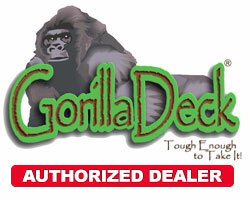 We sell the complete line of Timbertech Decking products. 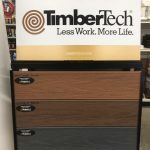 Stop in to pick up free samples.